This indicates session start & end times plus topics per day. The Congress takes place over four days with an opening ceremony and reception on the Sunday. There are many networking and social aspects to engage with your international colleagues. The congress involves multiple parallel presentations(7), poster sessions (3) and a full exhibition area. Wednesday 24th ~ Half day of oral presentations with posters & exhibition, plus Congress Excursion & Gala Dinner. 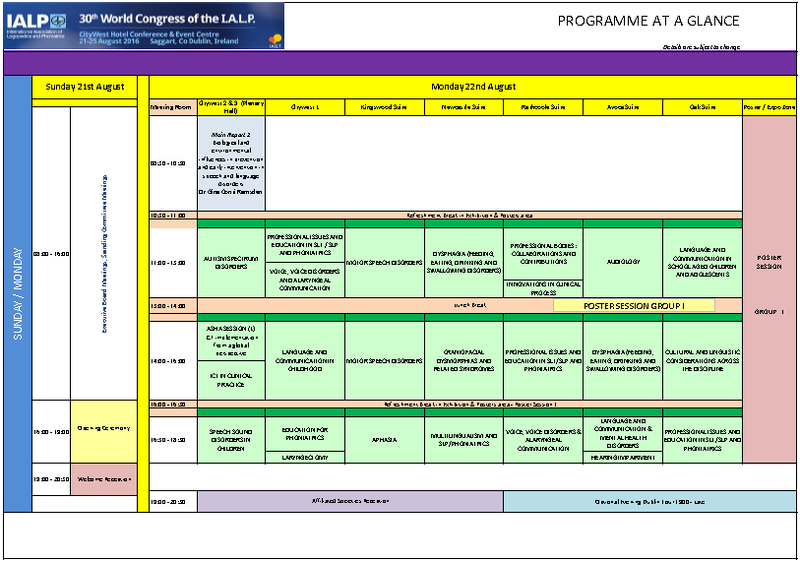 Thursday 25th ~ Full day of oral presentations with posters & exhibition and Congress Closing Ceremony. A Full Detailed timetable is now available online.